In Yeh Hai Mohabbatein 17th April 2019 episode, Simmi decides to tell them the truth, she was about to spill the beans. But Shaina appears at the right time and she shows Simmi her bag, in which she was having a revolver. In Star Plus’ famous show Yeh Hai Mohabbatein, Simmi gets to know about Ishita’s reality that she is not Ishita but Shaina Shah. She gets very tensed to know the truth. When Ruhi sees Simmi in stress, she asks her what is bothering her? But Simmi does not tell anything to her but fails to hide the tension from her face. Shagun also comes to meet Ishita. When Simmi sees Shagun and Ruhi, she thinks that she should tell them the truth about Ishita’s reality. 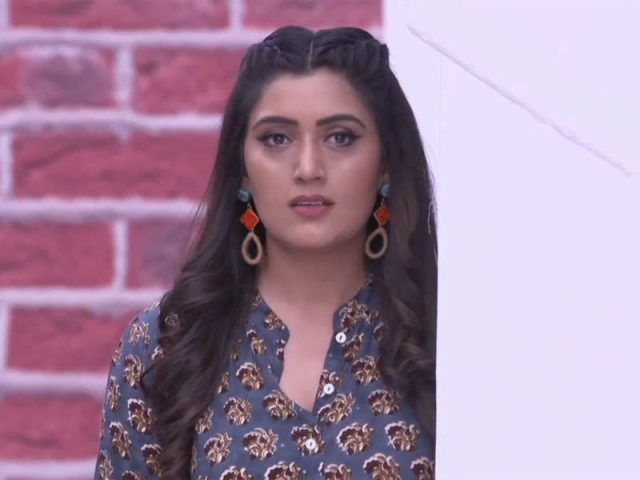 In Yeh Hai Mohabbatein 17th April 2019 episode, Simmi decides to tell them the truth, she was about to spill the beans. But Shaina appears at the right time and she shows Simmi her bag, in which she was having a revolver. Shaina sarcastically asks Simmi that what she was about to tell Shagun and Ruhi. Simmi gets scared and remains quiet. She says that she is not feeling well and then she goes into her room. Simmi then receives a message from Shaina. The message reads that she does not need to tell anything to anyone. Shaina tells Simmi via a message that she is going out but she has put cameras in the entire house so that she can keep an eye on Simmi’s every activity. Shaina receives a threat message from Shaina with a death threat. Simmi comes into Shagun’s room, she thinks that there will be no camera but she was wrong. She was about to tell Shagun about Shaina, just then Simmi receives another message from Shaina. Simmi gets to know that there are cameras fixed into every corner of the house. Simmi does not tell anything to Shagun and says that she is not feeling well. She asks for a number of gynecologists. Ranveer receives a parcel, in which he finds a bullet and a message. The message reads you have to meet me at the party as I know what you want to do. What will happen next? What big twist is about to come? Stay tuned with us for all the latest updates of Yeh Hai Mohabbatein and written episodes.